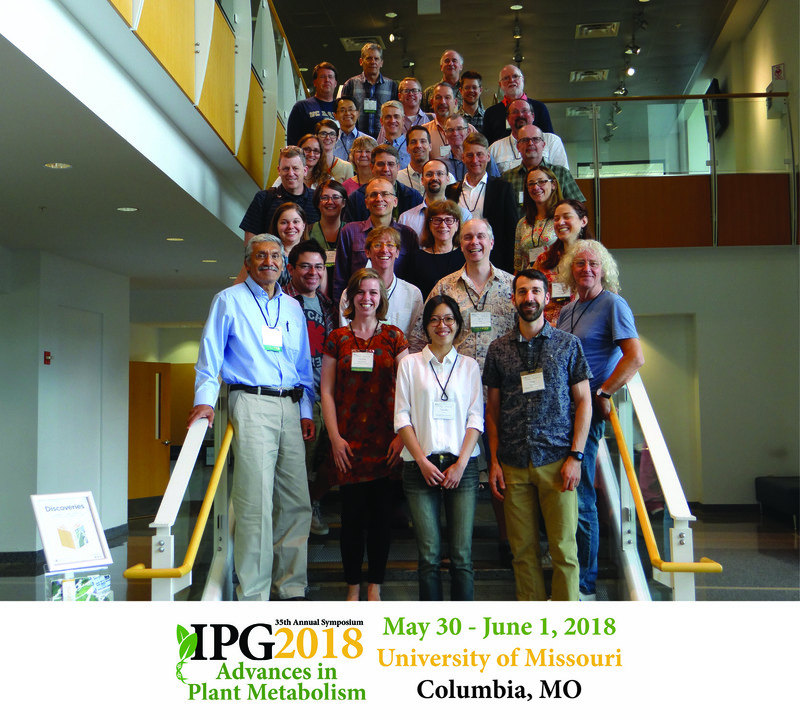 The 35th Annual Interdisciplinary Plant Group (IPG) Symposium “Advances in Plant Metabolism” was held May 30 – June 1, 2018 in the Christopher S. Bond Life Sciences Center at the University of Missouri. This year’s symposium brought together nearly 170 attendees from around the world to foster interactions that will generate new ideas and collaborations and refine the understanding of plant metabolism. The sessions featured 39 invited speakers. The symposium kicked off on Wednesday, May 30th with opening remarks from Dr. Mun Choi, President of the University of Missouri System, and Dr. Doug Randall, emeritus professor, Department of Biochemistry and founding director of the IPG. A keynote from Dr. Mark Stitt, Max-Planck-Institut fur Molekulare Pflanzenphysiologie, Germany opened the symposium. This year’s symposium also featured keynotes from Dr. David Fell, Oxford Brookes University, UK and Dr. William Plaxton, Queen's University, Canada. In addition to the session talks, the symposium provided networking opportunities through a dinner with the speakers, exclusive for students and postdocs sponsored by Monsanto, and receptions and poster sessions on Wednesday and Thursday featuring nearly 40 posters. The 36th Annual IPG Symposium on “Plant Signaling in Biotic and Abiotic Stress” will be held May 29 – 31, 2019. To be notified regarding updates on the 2019 symposium, please visit www.ipg.missouri.edu/symposium.